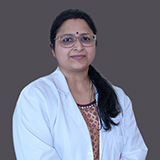 Dr. Milind Raje completed graduation from Maulana Azad Medical College (MAMC) New Delhi, post-graduation from University of Delhi and Registrar ship from Dr Ram Manohr Lohia Hospital (RML), all most prestigious institutions of N Delhi India. 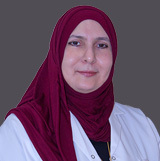 He holds, Diplomat of National Board (Radiology). 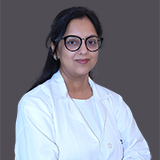 Dr Raje is also a fellow of the Royal College of Radiologists (FRCR) London UK, (2007) and is registered with the General Medical Council (GMC) of UK. 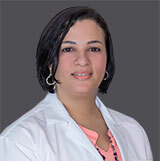 Dr. Raje has over 30 years of work experience in the field of Radiology. 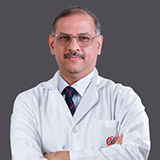 He has worked with the Apollo Hospital Group (the largest corporate hospital establishment in Asia) and was associated with their Madras (Chennai), Hyderabad, and N Delhi (Inderprastha) hospitals in the capacity of senior consultant Radiology and imaging, prior to coming to the UAE in 1996. 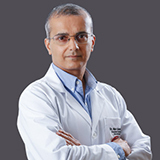 Dr. Raje has extensive experience in all fields of Radiology imaging and procedures, with Cross sectional imaging being his main subject of interest. 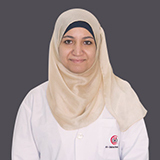 He was responsible for setting up the MRI unit of AL Zahra Hospital .He also has an impressive academic record and is actively involved in incorporating the latest developments in all aspects of imaging, into the current radiology practice. 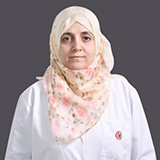 He is also a keen follower of developments in the field of Information Technology and its impact on Radiology.